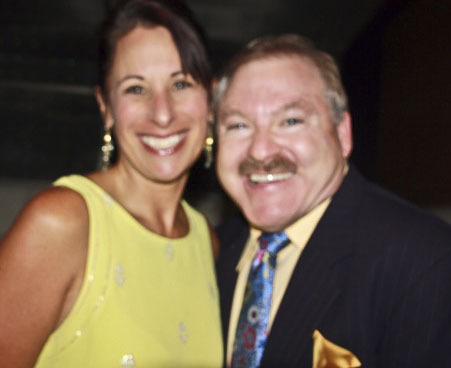 James Van Praagh jokingly refers to himself as a small “Medium-at-large.” For the thousands who have witnessed him talking with spirits and bringing back messages from deceased friends and loved ones, there is little doubt he is a clairvoyant with a huge gift. I confess, I may be a wee bit biased. I’ve known James for several years. We first met on a train in Peru, on our way to Machu Picchu to participate in a sacred winter solstice ceremony. James sat down right next to me and immediately said, “I feel you have an interesting story to tell. What is it?” We became fast friends, later to travel to Australia where I endeavored to get him to climb to the top of the Sydney Harbor Bridge with friends. But that’s another story. Wherever James is in the world, his talks are always packed events—sold out audiences and long lines to buy his books. His healing messages for the living as well as those on the other side are legendary. I’ve seen him in action many times—each time a revelation. But on a recent demonstration in the Los Angeles area, even I was astounded at what came through. It was a clear example of how the universe gets all the right players together, so the right pieces of the puzzle can click into place at the right moment in time. A woman raised her hand and revealed it was her uncle. James continued: “He’s saying thank you for helping the family get through his departing. He wants you to tell his wife he loves her very much and that ‘I’ve found the fun again’.” This was quickly followed up with other personal family details as well as messages to his children, not present. “I’m feeling he has difficulty breathing,” James said holding his chest. “There’s pressure in his heart area. Did he die of a heart attack?” The niece verified he had. This type of detailed information coming through is not at all unusual for James. It’s what happened next that is extremely interesting. A young teenager boy, who had died of a drug overdose, attempted to come through to speak to his mother in the audience. Unfortunately, he had not yet gotten the hang of communicating thoughts and pictures to a medium, so the singer/songwriter, who had come through before him, stepped in to help out. “Oh, this is interesting,” James continued. “The songwriter is saying he’s mentoring the boy on the other side and has been teaching him to play the guitar.” The niece of the songwriter then openly revealed that the identity of her departed family member was none other than Grammy-Award winning singer/songwriter Harry Nilsson who died in January of 1994. While it’s not important for James to know the identity of the spirit coming through, this surprised him for a different reason. He revealed that just three days earlier he had watched the 2006 documentary on Nilsson’s life after a friend told him he should watch it. Coincidence? Then it got even more interesting. A woman in the audience revealed she was the 9-1-1 dispatcher who had taken the call the night Nilsson had his heart attack. I’m sure I wasn’t the only one whose jaw dropped. Harry Nilsson is best remembered for his Grammy Award winning songs, Everybody’s Talkin’ (from the movie Midnight Cowboy), Without You and put the lime in the Coconut song, to name just a few. A pop artist and musician who reached success in the 70’s, his good friends John Lennon and Paul McCartney gave him the distinction of being their “all-time favorite performing artist.” And now Harry is sharing his musical talent as a teacher on the other side. Truly, we are all messengers and teachers in life–whatever dimension we reside in. At dinner afterwards, James and I talked about how our paths are sometimes chosen for us. I never thought I’d be anything but a psychologist. Certainly not a developer of quantum-based healing software. But life oftentimes takes you down a road least expected. Curious, I asked James what he would be if he wasn’t acting as a bridge between the spirit world and this one. He thought about it for a nanosecond. “Definitely a landscape architect,” he said. I smiled to myself. He’s already a landscape architect—just on a more global cosmic level.